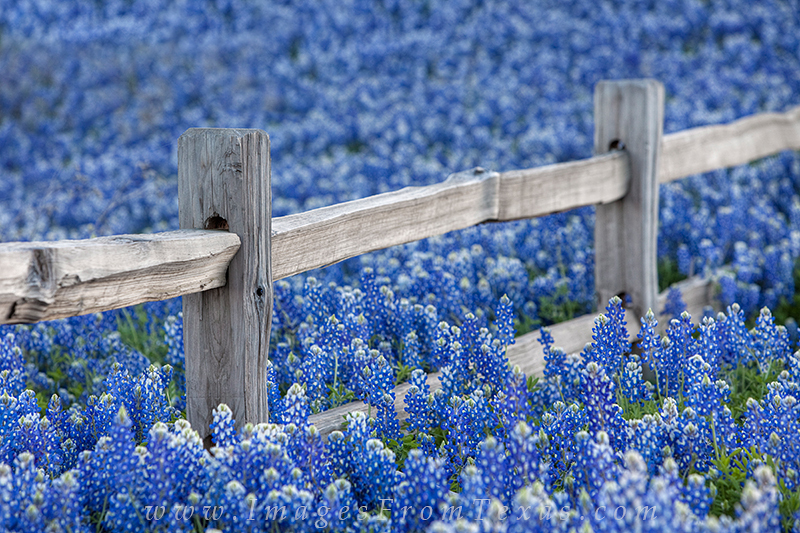 Along a wooden fencerow in the Texas Hill Country, I can often find bluebonnets growing in abundance. The year of 2010 was one of the better years for these wildflowers, as this photograph will attest. Photo © copyright by Rob Greebon.